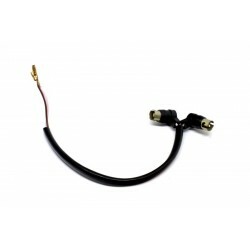 Quality replacement throttle cable for Yamaha motorcycles. It matches the original OEM cable and comes in grey colour. Quality metal replacement spring band to for the carburettor to air cleaner joint for Yamaha mo..
Quality replacement wire harness assembly / wiring loom for Yamaha motorcycles DS7 YDS7 and R5 YR5. ..